Welcome to Chi-Town Effects Tattoo. safe, sterile & friendly environment. Over 2000 tattoo designs to choose from. Custom design work is our specialty. Unhappy with your tattoo, come get a 2nd opinion! We specialize in everything from traditional, full color, Japanese, fine line, black and grey, portraits, tribal, new school, custom lettering. 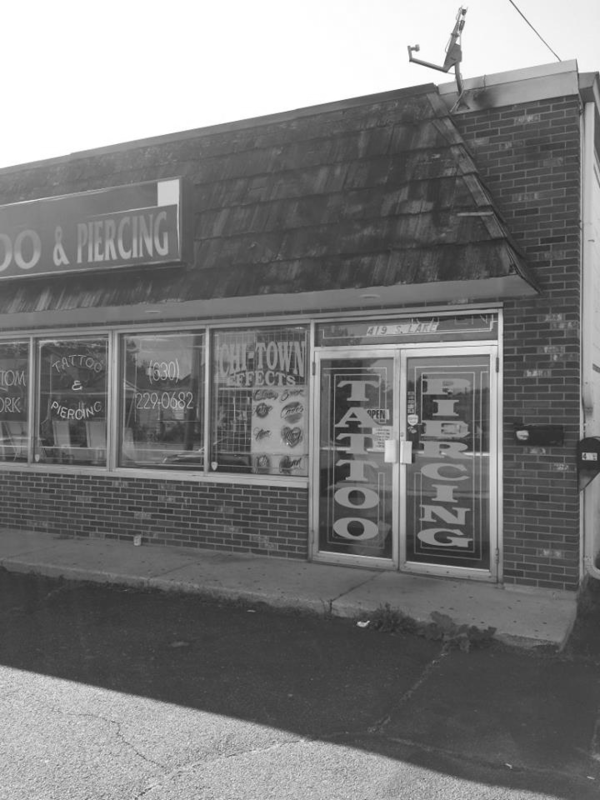 We can also restore your old tattoo or make it a cover up. All needles are one time use ONLY! Prices are based on size, detail, placement, and Black & Grey vs. Color. Come in for exact pricing, consultations are FREE! We would love to do your next custom Tattoo! please call or stop by the shop for more info, questions or to set an appointment with one of our talented artists.